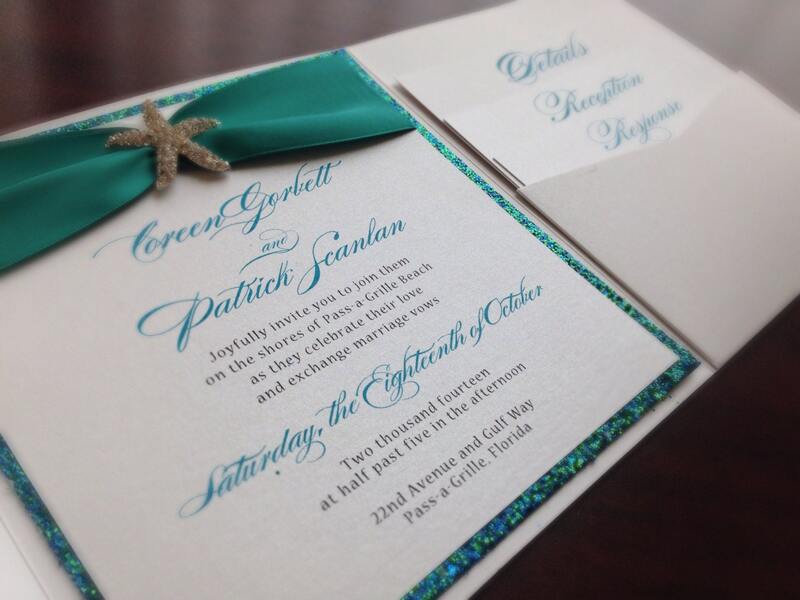 The second of our 'Little Mermaid' Inspired invitations, is completely different that the more simplistic style of our first invitation. 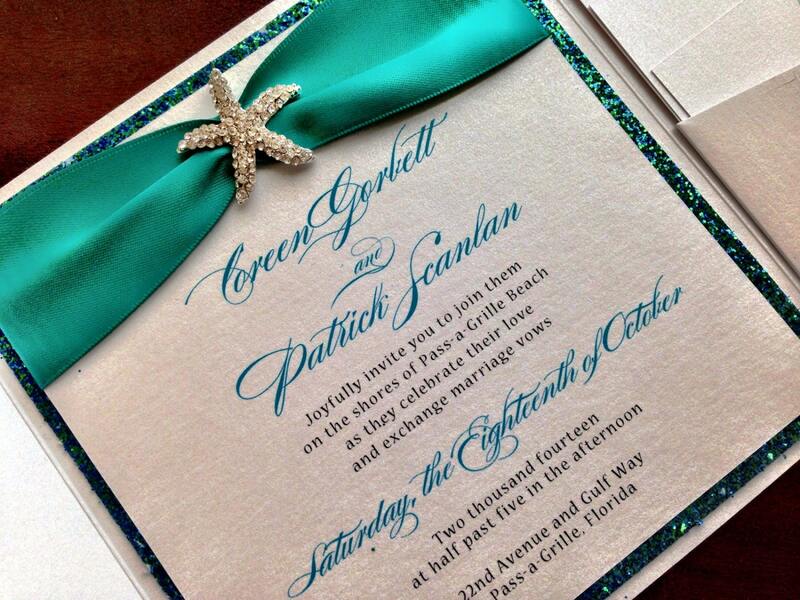 This particular style shows more sparkle... mimicking colors of the sea, as well as Ariel's Fins, this glitter encrusted invitation allows for beauty, while capturing the feel and look of one of Disney's most beloved princesses. 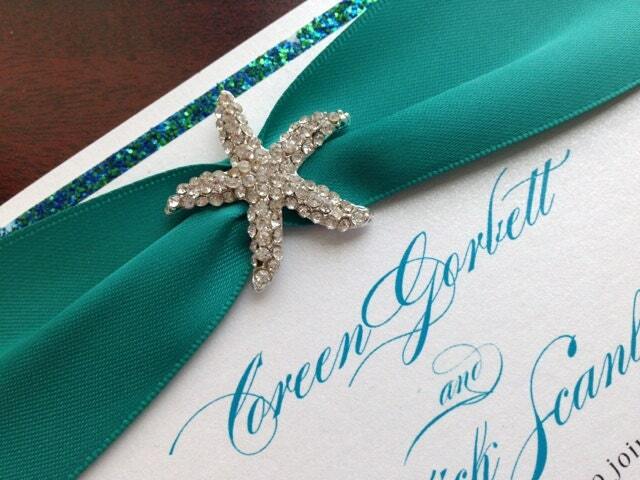 It boasts a crystal encrusted starfish, shades of teal glitter backing on both the invitation and monogram, and satin ribbon, which can be used inside, outside or both. 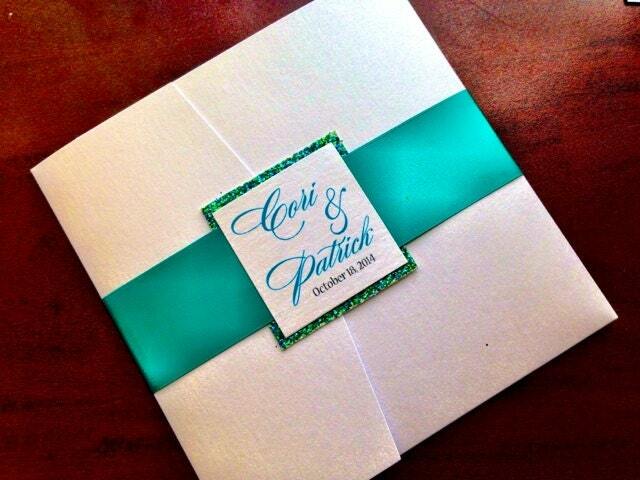 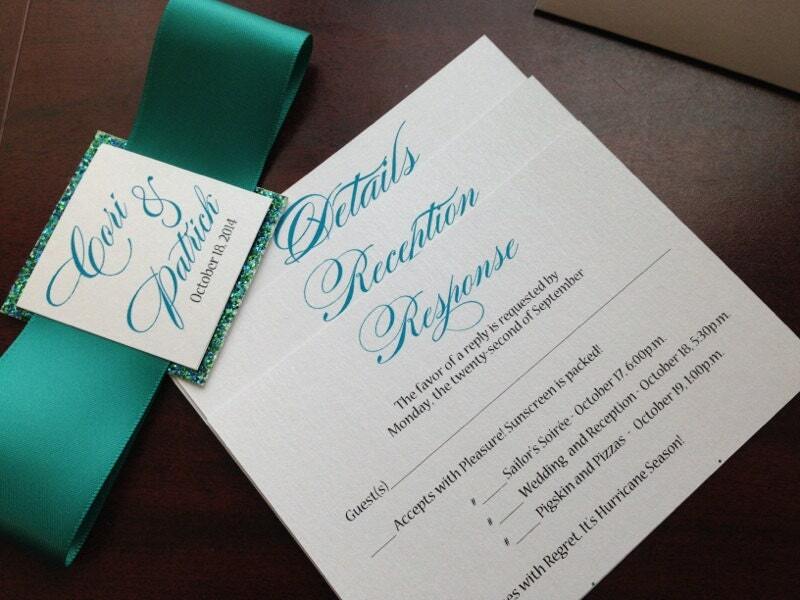 Please do not purchase this listing, reach out to us if you'd like a sample of this invitation.